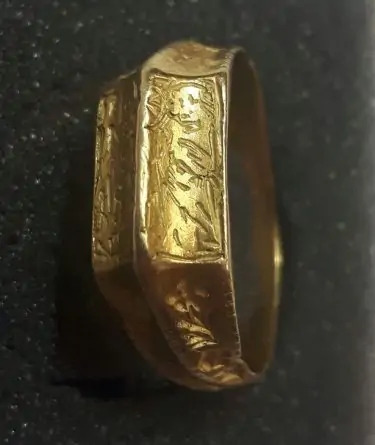 Adam Day, A HGV lorry Drive from Hull has found a Medieval Gold Bishops ring in a field in Beverley, close to Beverley Parish Church. Adam Day, A HGV lorry driver who lives in Hull has found a 500-year-old medieval bishops ring. The gold ring had an auction estimate of up to £10,000. The 20-carat ring found in Beverley sold for £7,100 at Hansons Auctioneers. 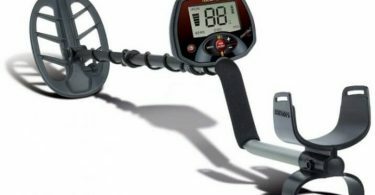 Adam Day, A HGV lorry driver from Hull had stumbled across the find of a lifetime while metal detecting a field in Beverley, Yorkshire. 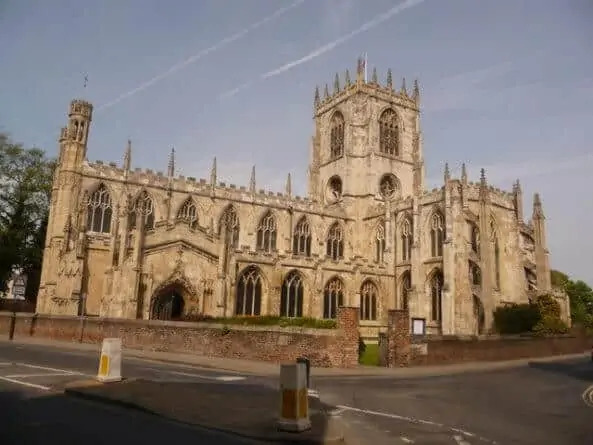 Adam told the BBC that from where he was metal detecting you can see the gothic Beverley Minster, one of the largest parish churches in the whole of the UK, and even bigger than a third of all UK Cathedrals. The 20 Carat Gold ring is believed to have been owned and lost by a Bishop somewhere between years 1450 – 1550. Adam said he knew he had found something special when he was recovering the ring from the ground. Crafted from 20-carat gold and decorated with engravings of St George, St Catherine and floral emblems it is clear that only someone of power would have been able to afford a ring of this craftsmanship. The rings initial guide price at Hansons Auctioneers in Derbyshire was between £8000 and £10,000. Just a few weeks after finding the ring it was put into the auction and failed to reach its guide price, but still hit a whopping £7,100 on the 24th January 2018. The buyer is unknown but is said to be a private collector from the UK. 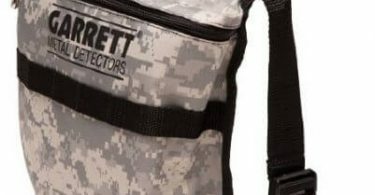 Adam said that he will be sharing the monetary proceeds from the sale with 2 of his metal detecting buddies and the farmer who gave him permission to search the land.